Ladera Ranch is beautiful planned community in South Orange County that has been devastated by short sales and home foreclosures. Ladera Ranch short sales remain at the higher end of the spectrum of the county with an increased number of REO , short sales and foreclosures per 1,000 houses. South Orange County short sales continue to be a problem for banks that own a high volume of loan portfolios in the region. Armed with at least $100 million to spend in 2010, Ladera Ranch, Calif.-based G8 Capital has acquired a 19-property loan portfolio of multifamily housing in South Florida. The all-cash transaction closed in less than two weeks for a portfolio of 13 performing loans and six non-performing mortgage notes. The company’s approach with non-performing home loans and underwater performing loans is to work closely with the borrower to assess their situation and identify their interests. G8 provides loan workout solutions that may include a short sale, obtaining a deed in lieu of foreclosure or a loan modification. Should G8 Capital become the owner of the home through a foreclosure or negotiated workout, its team makes necessary physical improvements and brings in local property management to stabilize the asset. 09 Aug 10 Northern California Foreclosure Aid On the Way? California foreclosure rates continue to rise. California short sales and loan modification programs continue to dominate home financing circles. Sixty miles northeast of the high-rolling corporate campuses of Google Inc. and Intel Corp., housing tracts sit vacant. Many Northern California factories are closed and job centers are packed with local residents searching for new employment opportunities. This area makes Southern California’s Inland Empire look like it has recovered and we know that hasn’t happened. The reality is that the inland regions east of San Francisco have plagued housing sectors like Riverside and San Bernardino counties. The inland area of San Francisco that includes San Joaquin, Alameda and Contra Costa counties has become bedroom communities for workers priced out of real estate markets closer to the coast. And just like the Inland Empire, the area was among the hardest hit by the economic downturn as buyers lost homes to short sales and foreclosure as home values continue to prices plummet. Housing is perhaps the biggest millstone. During the real estate boom, families that couldn’t afford real estate in San Francisco headed inland, buying homes in towns such as Tracy, Manteca and Brentwood. Dwellings there could cost $500,000 less than comparable properties in the Bay Area, said Michael Locke, president and chief executive of the San Joaquin Partnership, a private economic development company. Builders rushed to put up homes in vast developments, and employment in financial services in the three counties grew by a third in just a few years. Now, building has all but stopped. Home prices in San Joaquin County have fallen 63% since the peak median price of $451,500 in November 2005, according to MDA DataQuick. Prices in Contra Costa County are down 53% from their peak of $600,000 in April 2007. One in every 135 houses in Contra Costa County received a foreclosure filing in June 2010. In San Joaquin County, that figure is 1 in 104, nearly double the California average. Signs of California foreclosures and economic slowdown are everywhere. At Bethel Island, a Contra Costa County summer vacation area normally busy with tourists and fishermen, boats sit rotting in the Sacramento River. Nearby, a planned residential waterfront development has stalled. The builder completed boat docks before pulling out; an eerie remnant of the luxury once planned there. In Livermore, an Alameda County town, whole shopping developments are empty and home foreclosure notices dot homes. In Stockton, which had one of the highest California foreclosure rates, the median home price of $100,500 fell from $397,000 at the height of the boom, a stunning 74% drop. With sales and property taxes plummeting, cash-strapped cities are hustling to attract businesses. Like many areas, San Joaquin County has an enterprise zone. Businesses that locate there are eligible for tax breaks. Last year the county expanded its zone to 656 square miles. Stockton attracted a power plant and a prison hospital, businesses other communities might not welcome. Gus Duran, the city’s interim economic development director, said he’s trying to woo other businesses by slashing permit and development fees 50%. And Tracy’s City Council has voted to develop an incentive plan to attract retailers to the half-empty West Valley Mall, where a Mervyn’s closure prompted other retailers to flee. On a recent afternoon, in the darkened side of the mall that once held the Mervyn’s, two teenagers groped each other on a bench near the empty stores. The Hardest Hit Fund was designed to be complementary to the Home Affordable Modification Program (HAMP) unveiled in 2009, a federal program unveiled in early 2009 to help homeowners modify their mortgages. California loan modification plans are not easy to find as many homeowners have jumbo mortgages that lenders simply are not willing to restructure. The HAMP fund was established by President Barack Obama in February to provide targeted aid to families in the states hit hardest by the downturn of the housing market. The first phase of the program provided $1.5 billion to five states with home price declines of more than 20%: Arizona, California, Florida, Michigan and Nevada Read mor online > The Herald-Sun – Help coming against foreclosures. Once again Southern California short-sales rose significantly. Orange County short-sales had the smallest rise in short-sales and foreclosures, but they still trended upward which is not a good sign for the local housing markets. The number of transactions in which a home sells for less than the owner owes the bank is up 74% in the region this year, mainly due to a doubling of those California short-sales in the Inland Empire, the Southern California Multiple Listing Service reported. During the first five months of 2010, the four-county region had 12,906 short sales, up from 7,405 in the same period of 2009, Southern California MLS figures show. Short sales have been rising as mortgage lenders become more amenable to approving deals rather than letting homes go through a costly foreclosure. Last year, when lenders were more gracious with loan relief, short-sales were down, but as banks and lenders started extending less loan modification plans in 2010, we saw a significant increase in short-sales. Here’s how the negative housing stats break down in, Los Angeles, Riverside and San Bernardino and Orange County short sales. Riverside County had 3,444 short sales this year, the second-highest number in the region. That’s up 116% from 2009, when the county had 1,593 short sales. San Bernardino County short sales increased 96.7%, to 2,089. 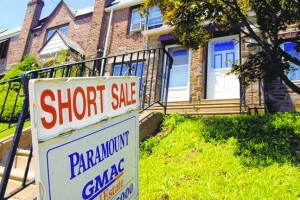 During the first five months of 2009, the county had 1,062 short sales. Los Angeles short sales led Southern California with 4,462 short sales and that’s up just 55.5% from the same period in 2009, when there were 2,870 such sales. Orange County short sales had the lowest percentage gain: OC short sales were up 54.8% to 2,911 short sales. The same time last year, O.C. had 1,880 such sales. San Clemente and Ladera Ranch Short Sales rose most significantly in South Orange County. Overall, the region has 29,242 distressed sales this year so far, down 24.4% from the first five months of 2009 due mainly to declining sales of bank-owned homes. Overall, bank-owned home sales dropped to 46.1% to 17,233 this year. California short sales, loan modification agreements and home foreclosures continue to have a significant impact on the California housing sector. The good news was that mortgage refinance applications increased last quarter as a result of strong FHA financing and the Home Affordable Refinance Program that is sponsored by the government. A recent Bloomberg article reported that California home prices declined 7.3% in September from a year earlier, helping boost the number of houses sold, the state Association of Realtors said. The median price for an existing detached house fell to $296,090 from $319,310 a year earlier, the Los Angeles-based group said today in a statement. The California home sales price rose 1.1% from August, the seventh consecutive month-on-month increase. Sales of foreclosed homes accounted for 42% of existing-property transactions in California in August, research company MDA DataQuick said Oct. 15. The Realtors said the number of existing houses sold climbed 2.1% last month from September 2008, boosted by lower prices and a federal tax credit for first-time homebuyers. “The success of the federal tax credit is clear,” James Liptak, president of the California Association of Realtors, said in the statement. The group supports an extension of the credit through mid-2010 and the removal of its restriction to first-time purchasers. California, the most populous U.S. state, is on pace for 530,520 home sales this year, based on the rate of transactions last month, the association said. “Efforts by the government to stimulate housing and the economy clearly are impacting the market,” Leslie Appleton- Young, the group’s chief economist, said in the statement. Sales have exceeded 500,000 homes on an annualized basis for 13 consecutive months, she said. The median amount of time it took to sell a California house fell to 33.6 days in September from 46.2 days a year earlier, the association said. The group’s unsold inventory index for existing, single-family houses dropped to 4.2 months from 6.5 months a year earlier. The index shows the time needed to deplete the supply of homes on the market at the current sales rate. The median price for a California condominium in September was $270,170, down 6.5% from a year earlier and up 3.8 % from August, the Realtors association said. Condominium sales rose 11% from a year earlier and 2.2% from August.